Every day, about 22 military veterans take their own lives. Veterans are also 50 percent more likely to commit suicide than civilians, according to a study that came out in January. For many of these veterans, life after service can be isolating, confusing and depressing. 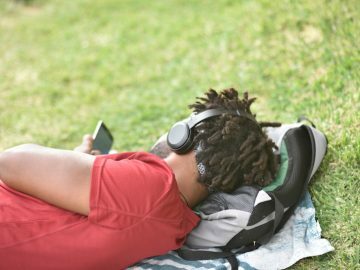 To cope, many turn to alcohol and drugs and those diagnosed with PTSD are prescribed a litany of prescriptions that don’t always have the desired effect. Veterans have begun looking for alternative solutions to prescription drugs to treat their PTSD and other psychological issues. 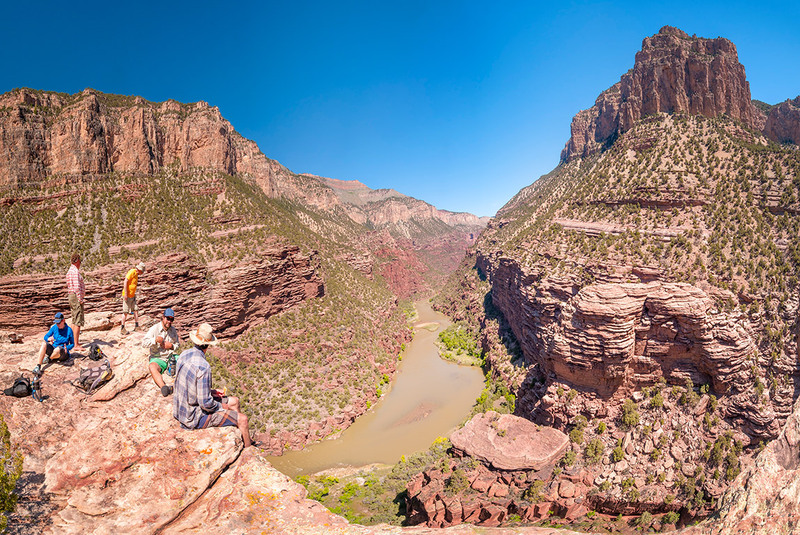 One of the most popular remedies isn’t acupuncture, hypnosis or therapy—it’s outdoor adventure. 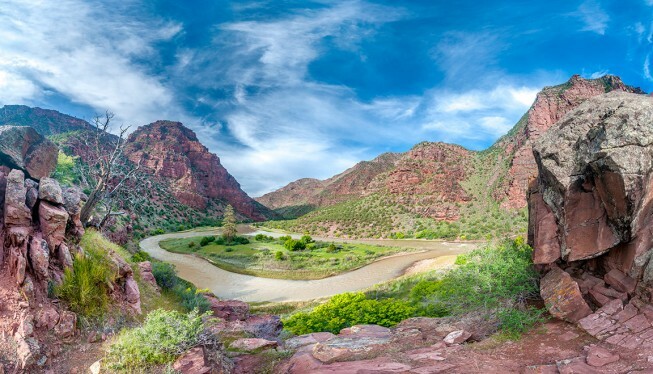 Dr. Dan Dustin, a professor and Vietnam-vet at the University of Utah, is dedicated to understanding how nature-based recreation can contribute to the healing process for veterans returning from war. 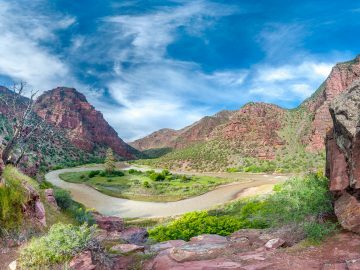 “We owe our service members the best rivers to run, the best trails to hike, the best canyons to explore, and the best mountains to climb…we owe them the best of what America has to offer,” wrote Dustin. 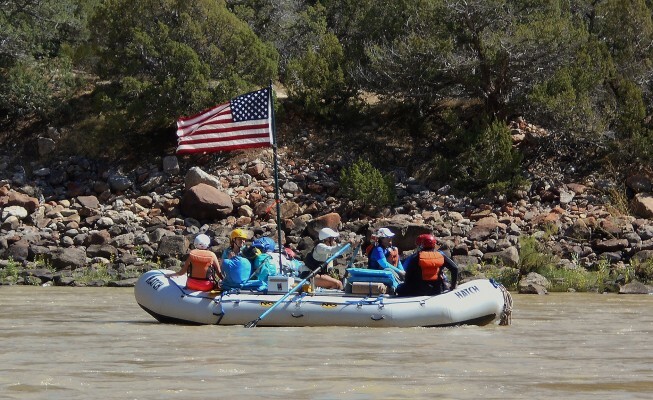 In 2014, OARS did a pilot trip with Wounded Warriors, a national veterans charity organization, down the Green River through the Gates of Lodore in Dinosaur National Monument. They let founder and president, George Wendt know, immediately, how effective the trip was. Military Outdoors, a Sierra Club outing branch exclusively for service members, veterans and their families, has made it their mission to get the military community into the outdoors. 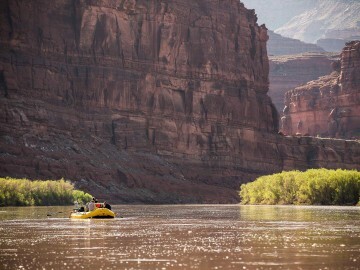 They took several trips through the Gates of Lodore down the Green River with OARS this September. “We did [the river trip] over the September 11th weekend and we opened the trip up to 9/11 first responders. We had two firefighters who responded to the Pentagon on 9/11. It was really cool to hear them open up on September 11th and hear the stories,” said Rob Vessels, an Iraq and Afghanistan veteran and the Military and Veteran Volunteer Coordinator at Military Outdoors. This was also his first multi-day river trip. Time around the campfire, swapping stories and connecting is invaluable. For many, this is the first real support group they have encountered since returning home. 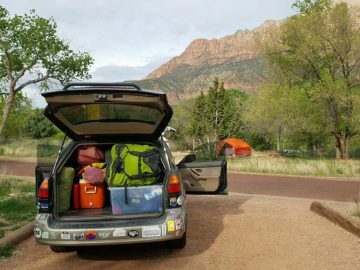 “If you’re not living near other veterans, it’s isolating and these trips give people an opportunity to reconnect to that close-knit society. It also changes you, you have a different sense of the world after being outdoors,” said Vessels. Fred Solheim, founder of Warriors on Cataract, has also found that the river has a powerful effect on physically and psychologically wounded veterans. He recruits his passengers from VA hospitals in Reno, Cheyenne, Las Vegas, Flagstaff, Phoenix and Salt Lake City. So far his program has done two trips with OARS—one for special operations vets and one as an all-female group. “It’s kind of like being back in the combat unit where you have that comfort zone, that security of being around guys who are all looking out for each other, they’re all the same breed, they’re all combat soldiers. On the evening of the last river camp I have them write down what they think they got out of the trip, and the comments are really heartening. They’ve made some real significant, positive changes,” said Solheim. Maintaining that camaraderie and support after the rafts and coolers have been put away can be challenging. That’s the ultimate goal for many of these adventure programs; to jump start the healing process and open veterans up to others with similar experiences in an environment where they can bond and work on themselves and each other. 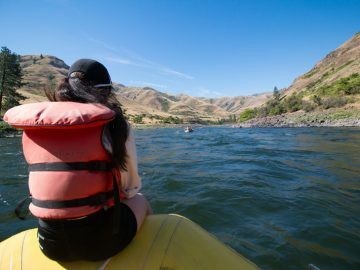 “It’s not just the river trip, the fun of going down the river, it’s the opportunity to gather together as combat soldiers and relay all of their successes and their problems and experiences and finally have someone they can talk to and resonate with,” said Solheim.